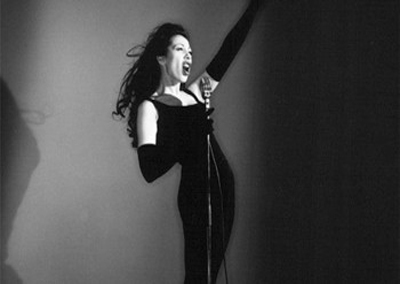 While virtually unknown in the U.S., pop singer Jennifer Rush achieved superstar status as an expatriate in Europe, selling millions of records and releasing a string of hit singles notable for their booming, dance-rock arrangements and Rush’s powerful voice. Born Heidi Stern in New York City, Rush’s father was an opera singer and her mother was a pianist. At the age of nine, she moved to Germany with her family, returning in her teens to the States. In 1982, she returned to Germany with her father to pursue a singing career, signing a deal with CBS/Columbia. 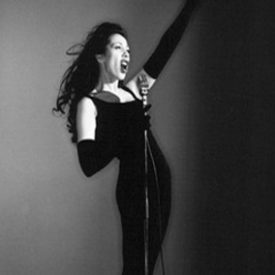 Changing her name to Jennifer Rush, she released a series of songs that made her a star in Europe, including Into My Dreams , Come Give Me Your Hand , 25 Lovers , and Ring of Ice . In 1985, Rush scored a massive European hit with The Power Of Love , which became one of the longest-running chart-toppers in U.K. history. The song, which she also co-wrote, was packaged with several of her other European hits for her U.S. debut Jennifer Rush. Released as a single, The Power Of Love failed to duplicate its success upon its stateside release, only reaching number 57. Instead, versions of the song by Laura Branigan and Celine Dion hit the American Top 40 (the latter hitting number one for a month in 1994). It wasn’t until her third U.S. release, Heart Over Mind , that Rush reached the Top 40 as an artist with her duet with Elton John, Flames Of Paradise , reaching number 37 in 1987. She continued to retain a large European following throughout the rest of the 1980s and 1990s, collaborating with writers such as Desmond Child and Diane Warren and performing with high-profile acts like Michael Bolton and Placido Domingo. Despite selling millions of albums abroad, most of her albums have not been released in the U.S.